Examining a microcosm can shed light on the larger reality. I have chosen to analyze a small mountain hamlet, Chagoti Ghar (Chergotah), located some forty kilometers east of Khost city in eastern Afghanistan in a time frame separated by eight and a third years – November 23rd 2001 and March 24th 2010. Both times, two Afghan civilians perished as a result of foreign occupation fire. In both instances, the U.S corporate media was silent. Both times, to pierce the veil of silence spun by the American military industrial media information complex (MIMIC) a person had to turn to independent, regional media; in November 2001 to the Peshawar-based Afghan Islamic Press news agency and in March 2010, to the Kabul-based Pajhwok Afghan News. Those killed in 2001 perished during morning prayers and those obliterated in 2010 succumbed after sundown. A women and girl were martyred in November 2001 and a teenaged couple was killed in March 2010. A Bush air strike killed two in 2001 and an Obama ground attack did the same in 2010. Peshawar, 23 November: American aircraft bombed Khost this morning, and one woman and a girl were martyred as a result. 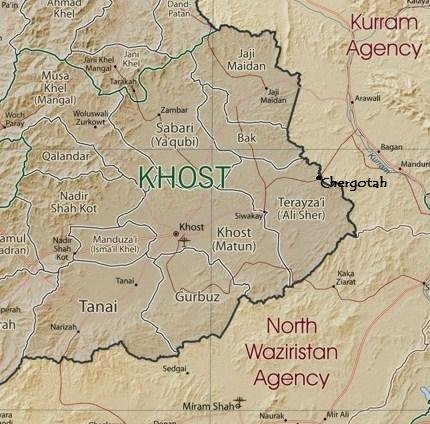 KHOST CITY (PAN): At least two Afghan civilians were killed and four others wounded in crossfire between NATO-led forces and Taliban militants in southeastern Afghanistan, officials said. The incident occurred late Wednesday night in the Ali Sher district of Khost province, bordering Pakistan. NATO forces have confirmed the Taliban raid on their outpost inflicted casualties on foreign troops, avoiding providing any further details. A Taliban spokesman, Zabihullah Mujahid, claimed the Western troops suffered heavy casualties in the attack. The aerial attack on November 23, 2001, was part of the U.S. bombing offensive targeting fleeing Taliban and Al Qaeda fighters who sought refuge in the mountains of eastern Afghanistan. The campaign also involved so-called decapitation strikes (the targeting of alleged enemy leaders). A prime target was veteran mujahedeen leader Jalaluddin Haqqani (he remains one still today). Haqqani was renowned as the architect of one of the most stunning military reverses suffered by the Najibullah government – the fall of Khost in 1991. He was named justice minister in the first mujahideen government formed in Kabul in 1992. In 1995, Haqqani defected and allied himself with the emerging Taliban and helped the Taliban secure control of Nangarhar Province in 1996. 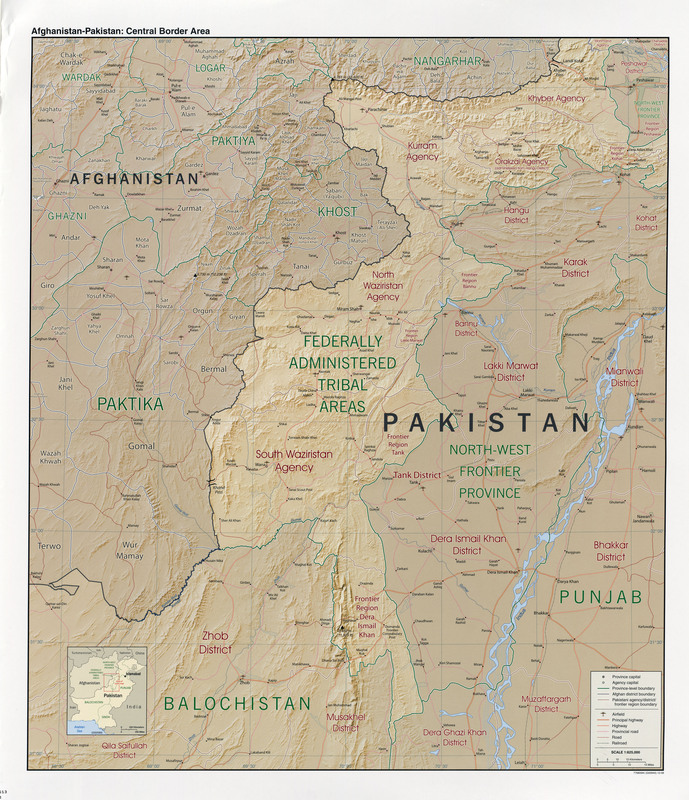 The defection was a key factor in securing territorial advantage for the emerging Taliban.2 At the time, Bin Laden was living there as a guest [and friend] of Haqqani. 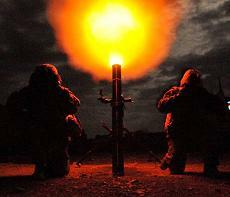 Haqqani possessed a valuable trove of apparently at least 70 U.S. Stinger missiles. Haqqani led the Taliban’s brutal military campaign north of Kabul during the winter of 1996/7, sweeping through the towns of Estalif and Qarabagh, carrying out what his opponents described as ethnic cleansing of the Tajik minority there. In 1998, he switched posts, being appointed to the important position of Minister of Tribal and Border Affairs in the Taliban government. Haqqani is known to have had close ties with Pakistan’s intelligence agency, the I.S.I., dating back to the 1980s. His relationship with Bin Laden led to the building of many training camps during the 1980’s in the eastern provinces of Nangarhar and Paktia (especially south of Khost). In late September 2001, Omar appointed Haqqani as commander-in-chief of the Taliban armed forces. He also served as governor of Paktia province. But no mention was made in U.S. official press releases or in the U.S. media. A search of Lexis-Nexus for the month of November 2001 reveals not a single mention of Chagoti by the western press. Silence was deceit, part of a well-orchestrated official U.S. campaign to carefully manage reporting of America’s Afghan war. The only references to the American bombing of Chagoti Ghar were to be found in the Afghan Islamic Press, Pakistan’s Jang newspaper and in Russia’s Pravda. Accurate news was published in Moscow and Peshawar not in New York City. I immediately entered this incident into my web-based data base. A number of reporters declared the killing of Afghan civilians to be inherently un-newsworthy, and CNN instructed its journalists to ‘balance’ reports of casualties with justifications for war. The study of casualty figures produced by US academic Marc Herold was often dismissed or attacked, and the much lower estimate of civilian deaths offered by a Project for Defence Alternatives report was presented as more credible. In fact, however, the latter is based on an eccentric method whose only rationale can be a desire to produce as low a figure as possible. The report, drawing on a variety of sources but favouring Western ones as the most reliable, used the following formula in cases where no precise numbers were available: ‘“some or a few” deaths was interpreted as 1, “a dozen or more” was interpreted as 3–4, “dozens” was interpreted as 8–10, “scores” was interpreted as 10–15, “hundreds” was interpreted as 40–60’ (quoted p. 50). And the left-of-center in the United States persists now in such practice by mindlessly quoting figures on Afghan civilian casualties put forth by the UNAMA. In August 2009, the Karzai regime and its U.S. ally began construction of an Afghan border police post near the Tere Zayi district border crossing. The ostensible rationale was to prevent infiltration into Khost Province of enemy fighters from Pakistan. The local Kuchi tribes’ people vehemently opposed the base construction. On a rugged mountaintop bordering Pakistan, less than two miles from Northern Waziristan, now sits Combat Outpost Chergotah in the easternmost part of Khost province. Two U.S. occupation soldiers based in the new border post were killed while on patrol by RPG/small arms fire on March 9th. NATO issued a statement at 3:44 AM EST noting that a firefight had taken place in the night of March 24/25th near an ISAF base and that in the engagement six civilians received shrapnel wounds, two of whom later died. Some ten minutes later, the Chinese news agency Xinhua General News Service published a report based upon an interview with a local tribal leader, Ramazan Kuchi, who said at 11 PM local time a NATO artillery shell hit a house killing two children and wounding four other persons (including two children, a lady and a man). Shortly thereafter, Agence France Presse and the Deutsche Presse-Agentur picked up the story merely reproducing the original NATO release. The independent Afghan Islamic Press (AIP) then provided a report noting the Taliban had attacked the NATO border post on the outskirts of the Alisher district and a missile fired by the NATO forces in retaliation struck a home causing six civilian casualties. The AIP interviewed a resident of Babrak Tana who said the NATO projectile hit a house killing two people and wounding four others. Only the AIP, Xinhua and Pajhwok carried interviews with local residents. The left-of-center U.S media in the United States merely parroted the official NATO report even misrepresenting the incident as a “NATO attack” when in truth it was carried out by the 25th Infantry of the U.S. Army. In the U.S. mainstream media, complete silence reigned once again. Chagoti Ghar (Chergotah) simply does not exist. The deaths of an Afghan woman, an 8-yr old Afghan girl and a teenaged couple are unworthy of mention in America. Another immaculate deception, or conception in which a teenaged couple was first transformed into two Taliban sub-commanders. That is, until a courageous, independent investigator challenges the official U.S/NATO lies. I have analyzed this issue on my “Truth about Afghan Civilian Casualties Comes Only Through American Lenses for the U.S. Corporate Media [our modern-day Didymus],” in Peter Phillips and Project Censored [eds], Censored 2003: the Year’s Top 25 Stories [New York: Seven Seas Publishing, 2002], pp. 265-294 and in many other writings such as “Et Plus Ca Change… U.S. Reporters Transcribe the Colonel’s Wisdom,” Cursor.org (March 10, 2003) at http://cursor.org/stories/morethingschange.htm and in The Balochistan Post (Quetta, Pakistan) (February 24, 2003) . Examples of such frequently ad hominem, vitriolic, and unsubstantiated attacks include such fine exemplars as Dr. Frank, “Marc Herold. Master Analyst,” Dr. Frank’s What’s-It (December 21, 2001) at http://www.doktorfrank.com/archives/2001/12/marc_herold_master_analyst.html Lucinda Fleeson, “The Civilian Casualty Conundrum,” American Journalism Review (April 2002) at http://www.ajr.org/Article.asp?id=2491, “The Case Against Marc Herold,” The Angry Cyclist (October 28, 2002) at http://angrycyclist.blogspot.com/2002_09_29_angrycyclist_archive.html, as well as various writings by Matt Welch, Ian Murray, Jeffrey Isaacs, and Joshua Muravchik.